simpliCity℠ – SynergyID | Complex Needs. Simple Solutions. 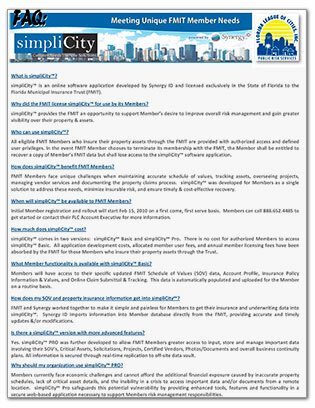 In an effort to improve the mitigation process and significantly reduce the financial impact a loss can have on a Member’s ability to recover, FMIT TurnKey Recovery℠ Program is offered to Members through simpliCity℠ Pro & the Florida League of Cities, Insurance & Financial Division. 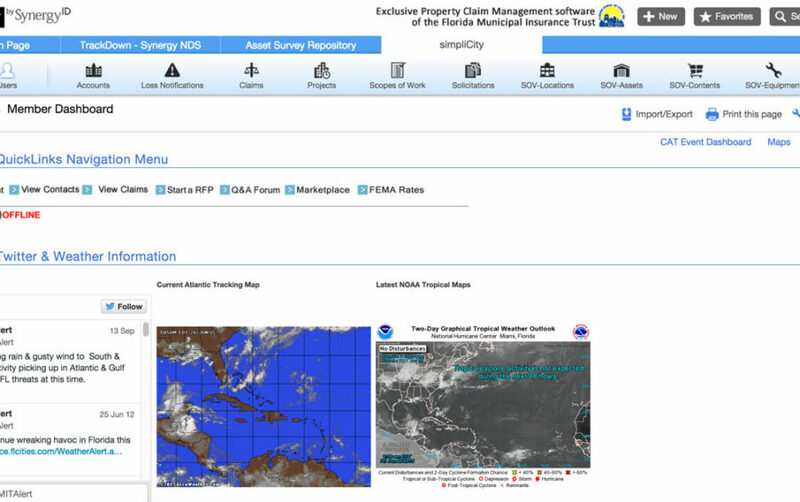 Managed by Synergy Recovery Resources and offered to FMIT Members enrolled in simpliCity Pro at no additional cost, all recovery services are authorized by the Insurance & Financial Division as part of a covered FMIT Claim. Project costs are approved and paid to certified vendors directly by Synergy or the FMIT in order to reduce Member’s out-of-pocket costs. FMIT TurnKey Recovery℠ helps to minimize the financial exposure that SOV Claims can have on Members net cash-flow by eliminating the recovery cost burden and the reimbursement process. Ask your FLC Account Executive for more details or call 888.580.7080. 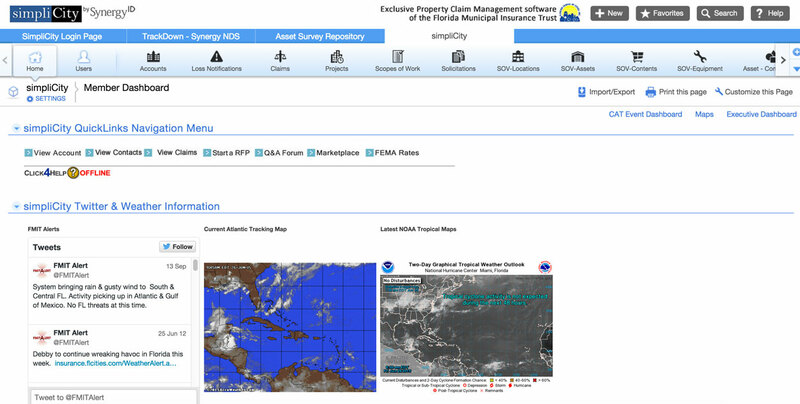 When disasters happen, knowing who and what you need, before you need it, is critical to expediting the recovery process. More importantly, having available funds and accurate contractor procurement information is necessary in order to secure high-demand services. 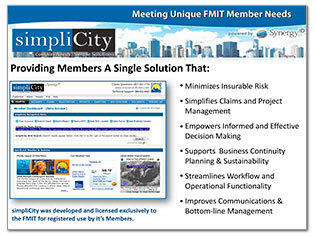 FREE to FMIT Members as part of simpliCity℠ Pro, the Managed Vendor Program (MVP) is required in order to allow Member vendors/subcontractors to be paid directly through the FMIT TurnKey Recovery℠ program. Synergy ID manages MVP and works on behalf of Members to certify vendors and collect all required licensing, bonding, insurance and payment information. Call us at 888.852.4485 or Click Here for more information.